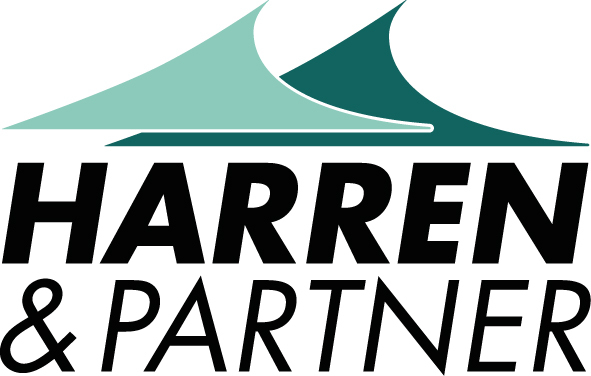 Harren & Partner – Shipowner. Ship Manager. Maritime Service Provider. The Bremen-based shipping group was founded in 1989 by Capt. Peter Harren, and employs around 250 people ashore as well as about 2,300 regular crew members on board of vessels. Harren & Partner delivers the full range of services related to the entire life cycle of a ship - from the conceptual designs of new constructions and the extensive technical and nautical management of the fleet, to the sale and purchase of ships. Our core activity involves managing our own fleet as well as external tonnage: Harren Shipping Services GmbH & Co. KG ensures the flawless operations of our fleet of 71 vessels, comprising tankers, container feeders, heavy lift vessels, bulk carriers, dock ships and offshore vessels. With specialised teams for the different types of ships and a strong seafaring DNA embedded in our business culture, Harren & Partner guarantees the highest standards of quality - on both land and sea. The Harren & Partner Group is a global operation, with ship management offices in Bremen, Singapore and Ciudad del Carmen, as well as offices in Hamburg, Rotterdam, Helsinki, Riga, Witney/Oxford, Istanbul, Houston, Kingston, Lima, Manila, Shanghai, Tokyo and Seoul. Heavy lift and project cargo specialists SAL Heavy Lift (www.sal-heavylift.com) and Combi Lift (www.combi-lift.net) stand for the Group's expertise in providing smart engineering solutions for international projects. Finally, SAL Engineering (www.sal-engineering.de) is an independent engineering house within the Harren & Partner Group, offering highly specialised technical engineering, consultancy and site support services. Technically managing their tanker fleet of eleven vessels since 2004, Harren & Partner decided to form a lean and effective chartering team of four experienced tanker specialists to take on full responsibility for their commercial activities in this segment as well. Harren Tankers Chartering (www.harren-tankers.de) started operations in June 2017 with two vessels well known in the CPP trade in the Baltic and North West Europe. Operating from the head office in Bremen, the commercial team works closely alongside the technical management team offering customers at all times a reliable service for all their transportation needs. Buying from purchase cooperative trans-Mar-supply (www.trans-mar-supply.com), hands any savings on equipment over to each individual ship - from expensive machinery parts and lube oil, to simple galley supplies and bathroom tissue. Maximum transparency is the basis for joint purchases of over 200 ships from different owners. With a diversified fleet, a broad range of services and long-term alliances with established partners, the owner operated Harren & Partner Group strives to achieve sustainable, organic growth in today's fluctuating shipping markets.